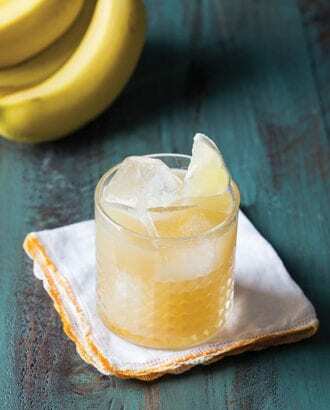 More and more bartenders are using banana liqueur to add complexity to tropical recipes, and in this rum-based number from Wu Chow, the ingredient brings an underlying fruitiness to the glass. Combine all ingredients and shake with ice. Strain into an ice-filled rocks glass and garnish. A sweet-tart summer cider that supports a good cause.